Can anyone guess what all the words and phrases above have in common? They were words and statements made by some of our National officers at state conventions across the country. Aside from the fact that these people work for us, I am astounded that they stand up and disparage a large amount of their dues paying members in front of an audience. I continue to be blown away by these people that continue to live in the past. They say that online rural carriers helping each other is the reason carriers don’t join the union. So, we are the problem in their eyes. I wonder if they will ever change their stance. In this age, there is no way they can stop the gathering and discussions of rural carriers online. It is the nature of the beast. When and if they ever realize this, they will see their membership skyrocket. Times have changed and they either need to change with the times, or continue to bury their heads in the sand and lose members. It’s not hard to figure out.. You go where the members/potential members are and you engage them and show them why they should join. This is a different time we live in than the days of when everyone knew the value of a union and joined without question. Today you have to show them why they should spend their hard earned money..
As I said earlier, it is the nature of the beast. Most of us that are members already know the value of the union, but the new generation has not grown up with unions being widely accepted by the people. You have to adapt to your potential members and this is the main thing the NRLCA fails to do. 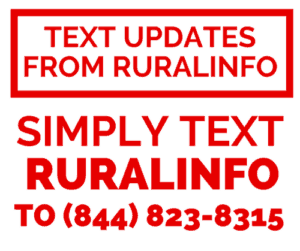 Rural carriers are online and if you want to reach them, you have to go where they are. Plain and simple.. Engineers did not give us the report in layman’s terminology so it is not easy to understand. There are a lot of things to negotiate with the PO. They will also be using info that must now be provided by the mailers as to how many flats are in presort bundles in place of counting them. It appears anything run into flat tubs will now be counted as a flat, and used in place of actual counts. Depending on walk distance and driveway time there could be parcels that net over 5 minutes. The engineers told the USPS that drive distance is paid at a lower rate than walk distance under the new system, if they want to pay us to walk, it will cost them. Our 12 minutes a mile comes out to 30 miles an hour all day, our actual time is so much slower. Also their 170 + standards for what we do and driving was not formatted in a mail count type set up so no way to take March numbers and plug into new standards. The engineers are in the process of plugging the new standards, of which there are around 180, into the routes that have been mapped. That way national will have an idea of how the study will affect us. Once they receive that information, it will be put out on the website, hopefully by the middle of July. But those 1700 are the only ones that have been mapped. The other 50,000+ will have to be done. And both sides will have to decide on how to map the routes in the simplest way and how to implement the standards. 2 & 1 casing maybe coming; this is only going to work in offices with enough regular and auxiliary routes in that zip. Ex: Regular carrier comes in 30 minutes early, starts casing, pulls down and leaves. Aux carrier then reports takes off the flip labels and does cases her route and pulls down. She then puts the regular carriers labels back up. But 90% of union members are in offices with less than 30 routes. And the smaller the office the higher percentage of membership overall. This all sounds amazing! It’s amazing, that is, as to how much we’ve been screwed! And the union is pissed we are helping each other online? That s the most infuriating thing I’ve ever heard about the union, and I’m a table 2 employee. The national board office at our state convention did not make any statements about internet uses or non members of the union. He did mention many of the same points oin the original post. Did not mention any issues with the industrial language. About the same information on packages and the creation of many new routes after count. Please help me to understand the left hand turn policy. Sharing info and helping each other is a good thing. They should do more outreach to get members to join and add more benefits to RCAs so we feel like our contribution matters. Who is the damn fool that hatched the idea of 2 in 1 casing? That will be a complete and total disaster! 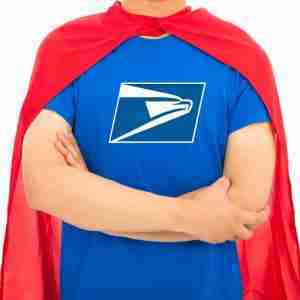 Our Union needs to force the cheapskates at the Post Office to purchase necessary equipment no exceptions! They have some nerve to criticize the members. We are online because it’s 2018 . Instead of living in the stone ages they need to start getting with the times. I really believe that there a lot of DRs , ADRs and stewards that are not good and are just in it for the title. They don’t want people to speak out because then it will be public knowledge how incompetent they are . I agree! The NRLCA should be more transparent and all info should be posted here or on Google for all to see. The Convention highlights need to be seen be all members and none members. It’s a shame that the top NRLCA member doesn’t understand the wording of the study results. How is that even possible?